iMac running 10.11.6 server. MacBook Pro running 10.12.3 client. Logitech MX Master connected via USB for mouse. There's also a magic trackpad connected. Scroll wheel doesn't work on client, at all. Not intermittent. Just straight up doesn't work. 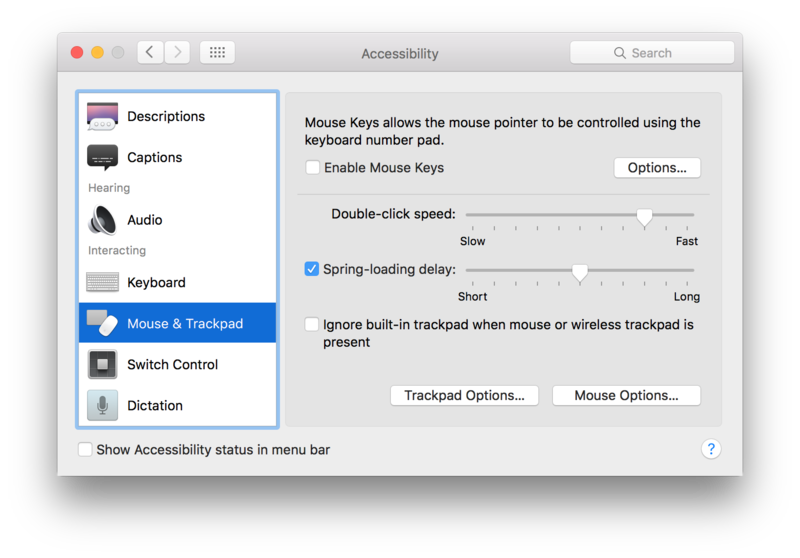 Broken with both mouse and trackpad. Sorry to hear you've been having problems! 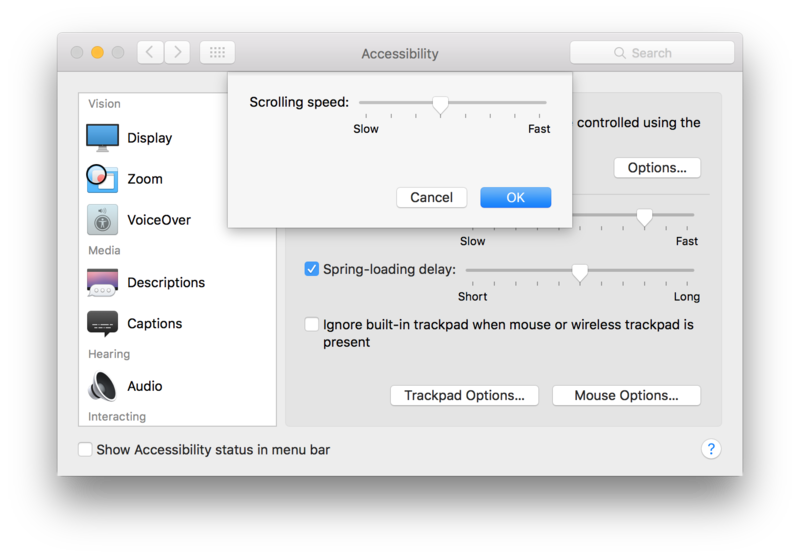 This sounds like it could be related to the scroll speed setting, can you please open up Accessibility preferences and increase the scroll speed under both trackpad options and mouse options, as shown below. This fixed it for me. I did it on the server side.